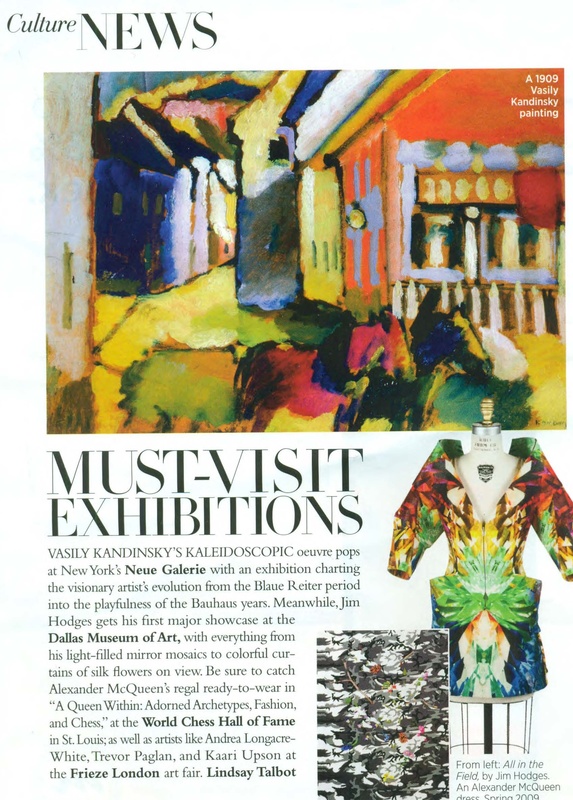 Harpers Bazzar Featured Coco Johnsen Lola Gown On the Cover. 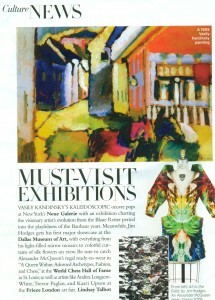 Fantastic’s Magazine editorial feature on Coco Johnsen design and Interview. 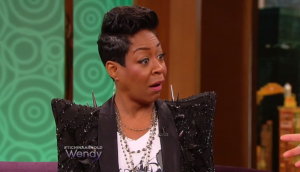 Actress Tisha Arnold appeared on THE WENDY WILLIAMS SHOW wearing the Coco Johnsen Imani jacket. NETFLIX – ORANGE IS THE NEW BLACK actress Aylissa Ryder wearing Coco Johnsen Bregerie Jumper. PAULINA RUBIO wears Coco Johnsen to promote T.V. show “JANE THE VIRGIN“ AND THE AD APPEARED ON THE SIDE OF A BUILDING ON HOLLYWOOD BLVD LARGER THAN LIFE. Jared Leto, long of hair and full of beard, is sitting in the lobby of The Bowery Hotel in Lower Manhattan in a chair so ornate it could be more accurately described as a throne. Tapestried cushions rest atop elaborately carved mahogany that pirouettes every which way, culminating in two lions’ heads, one on the end of each of the arms upon which his delicate hands currently rest. He surveys the dimly lit room: low-slung, velvet-covered sofas in rich burgundies and emeralds, assorted oriental rugs, low wood-beamed ceiling, leather-paneled walls, logs crackling in a massive stone fireplace, and, right in front of him, Deepak Chopra. “You see that?” the 42-year-old says in a hushed whisper. “Deepak Chopra!” His excitement at the presence of the holistic guru is as visible on his face as it is audible in his voice. “Hold on, this is hilarious. I gotta tell my buddy.” He fires off a quick text. 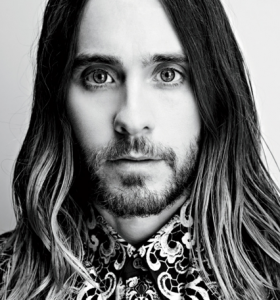 In this hotel—a place where celebrities seem to love to be interviewed almost as much as they love to sleep—Leto seems to be the only one focused on Chopra; everybody else is more interested in him. 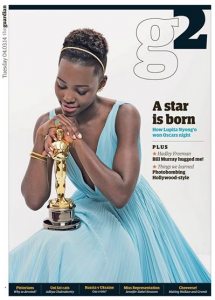 LUPITA NYONG’O SHINES IN 12 YEARS A SLAVE. GO SEE THIS MOVIE . LUPITA’S PERFORMANCE WAS SO CAPITVATING I WAS BROUGHT TO TEARS. CONGRATS ON THE OSCAR YOU DESERVE IT. Four days earlier, Miley performed at the VMAs. Maybe you heard about it. A lot of people got mad. Miley did things with a foam finger that made the inventor of the foam finger accuse her of having “degraded” an “icon.” Most people thought it was Miley’s fault, but Miley didn’t care. That’s what the Teddy Roosevelt quote is about. Haters gonna hate. 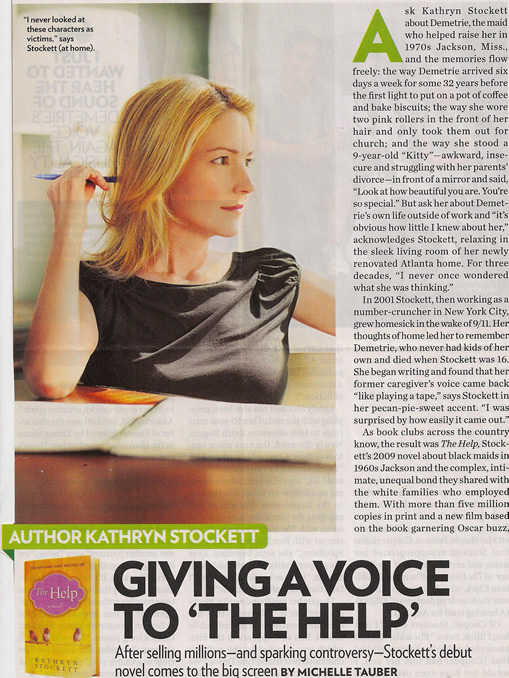 THIS ARTICLE APPEARED IN ROLLINGSTONE. I SAY JUST SHAKE AND TWIRK THAT THANG MILEY …. THIS GIRL IS GETTING HER CHETTA PEOPLE. MILEY HAS BEEN IN THE ENTERTAINMENT BUSINESS FOR OVER A DECADE AND SHE KNOW’S EXACTLEY WHAT SHE’S DOING WITH HER BRAND . ARTIST NEED TO BE FREE TO CHALLENGE US WITH THE OUTRAGEOUS THINGS THEY DO ON AND OFF STAGE, OTHER WISE I THINK WE MIGHT START LOOKING CLOSLEY AT OURSELVES AND THAT MIGHT BORE US ALL TO DEATH. 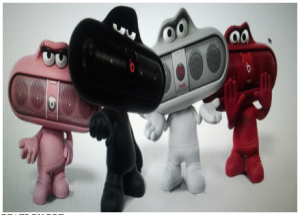 Beats Pill portable speaker brings the party with you, wherever you go. The Beats Pill is lightweight, portable, and completely wireless. Change tracks from your phone or take a call with the Beats Pill’s built-in microphone. New features include the ability to amplify or stereo your music and accessory charging. Small enough to fit in your hand, the Beats Pill surprises with its powerful, signature sound. This new portable speaker is the brain child of Doctor Dre, need I say more . retail from $199.00 gotta have em…. ZOMBIE BOY: I’m Just Dying To Beat You! Excitement is in the air as an unusual personality gears up to become the Hollywood’s next action villain. Zombie Boy is just dying to beat you Keanu! as to appear in Keanu Reeve’s 47 Ronin. 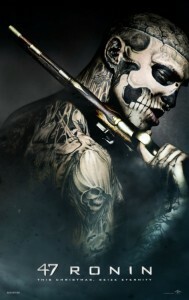 My friend Rick Genest AKA Zombie Boy is set to appear as one of the antagonist in the new film 47 Ronin! And with his frightening tattooed exterior, The Prince of Ink is set to leave and indelible stain and some bruises in Hollywood as it is rumored that he may fight Reeves to the death. In a sneak preview… Z.B. is seen crawling through the rafters as he emerges from the shadows…. what happens next…. well we will all just have to wait and see. Although 47 Ronin has had a lot of delays and has been plagued with constant revisions and ever-changing release dates, Ronin is now scheduled for a Christmas Day release stateside. Here’s a synopsis. The troupe of banished samurai long to restore their honor and find vengeance against the treacherous Lord Kira (played by Asano, who is in theaters now as Hogun in Thor) who was responsible for the death of their master. Kai is the uneasy compatriot in their company and his standing will be questioned even more as he falls in love with Mika (Shibasaki), daughter of the fallen master. The film presents a quest where the Ronin (the term for Samurai with no master) face trials that test their mettle and their loyalty to one another. It stars Keanu Reeves as well as several famous Japanese actor (like Hiroyuki Sanada for example!) in an 18th century Samurai tale of revenge. It is a pleasure to witness a young talent such as Zombie Boy grow into a sought after actor. If the 4 newly released movie posters are an indication that Zombie is hot… well, just look for yourself. If a picture is worth a thousand words… then what is a poster worth? Check out his solo poster. Entitled “Outcast”, “Warrior”, “Freak” and “Witch”… can you guess which one he is? Photography: Colin Singer. Fashion Editor, Producer and Make-up Artist Ty-Ron Mayes. Rick Genest aka Zombie Boy wears a custom jacket designed exclusively by Coco Johnsen. Pants Dominic Louis. Jewelry, Chrishabana. Boots, Gasoline Glamour. For those of you who are not familiar with Zombie Boy… before he transformed himself into living art emblazed with tattoos and disturbing morbid imagery, Zombie Boy was born Rick Genest of La Salle, Quebec and grew up in Chateauguay. “Rico” first appeared on the world platform in the Lady Gaga’s video, Born This Way. No, that was not make-up in the video… at least not on Rico. Over 80 percent of his body is covered in tattoos, including his face. Rick’s tattoos are what he calls, his “project”. From September 9th – November 9th ’13 at Jack Studios, New York City, supermodel Tyra Banks – FAULT’s Issue 15 Beauty section cover star– will present an exhibition of photographs of herself taken in the style of some of her famous modelling counterparts. Tyra has once again collaborated with the team that worked on her shoot for FAULT – photographer Udo Spreitzenbarth and creative director Ty-Ron Mayes – to create a series of unretouched, monochramatic images that seek to capture the essence of iconic fellow supermodels – friends, colleagues and competitors alike. The script is based on Wall Street Journal reporter Deborah Ball‘s book ‘House of Versace: The Untold Story of Genius, Murder, and Survival’. The Lifetime production explores all uncomfortable subjects . 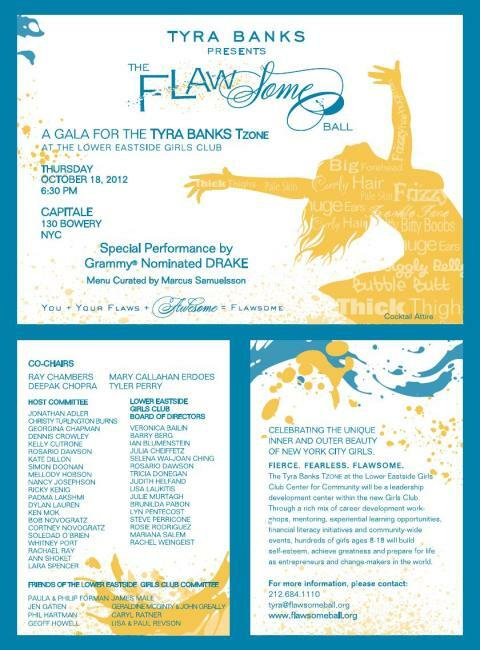 Tyra banks gives back to the community thru her Flawsome Charity event to benefit the Lower Eastside Girls Club. Drake turned out to help support and preformed some of his amazing music. I was so proud to be able to help out with this great event. 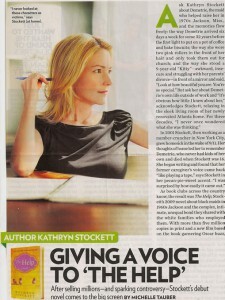 Please read Kathryn Stocketts book,THE HELP and watch the movie.I went to see this film alone.I often will go to a film alone to just relax and focus on the story and also to learn about something new. The film the Help really moved me and The move is very insightful.